I think we need to stage an intervention, or at least monitor who Rosie the robotic vacuum cleaner makes friends with. She has suddenly started getting up to clean at 2.30am for no reason. I suspect drugs and I suspect Duck Norris is dealing them. I had to get up in the middle of the night, calm Rosie down and put her back on her docking station. I questioned her as to what was going on, but she sat in stubborn silence and wouldn’t give anyone up. This morning I questioned Norris who said he’d never even met Rosie and he doesn’t deal drugs, he’s much too busy for that sort of thing. I saw some of the other ducks muttering, looking at the ground and shuffling their feet. I think, if I try, I can probably get one of them to quack on him. No-one trusts your shifty eyes Norris. Rosie running about at full steam in the middle of the night really is most suspicious. I agree that Duck Norris is behind it all. He must have realized that the fastest way to the top is to take advantage of a power vacuum. I should have known it would only take him a few weeks to corrupt her. 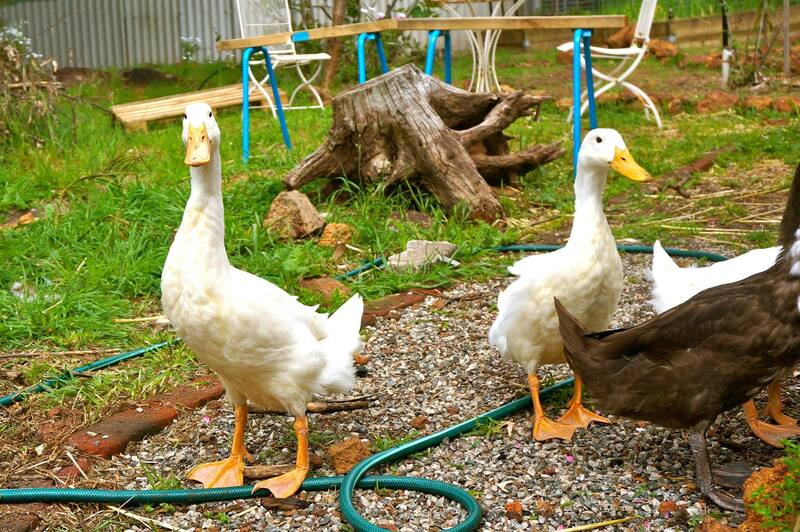 Two of the girl ducks say they’ll do a tell all story for a bag of peas. The chickens say they’ll expose him for free, and while they’re at it, they’d also like to report him for sexual harassment. He’s been milling around the fence staring at their fluffy butts. I say published and be damned! Norris is getting dangerously powerful and has to be stopped somehow. I know peas are expensive these days at $1.60 a bag, but it’s almost certainly worth the price when you weigh it against the future of world civilization.